This week a load of timber arrived from our local timber mill. 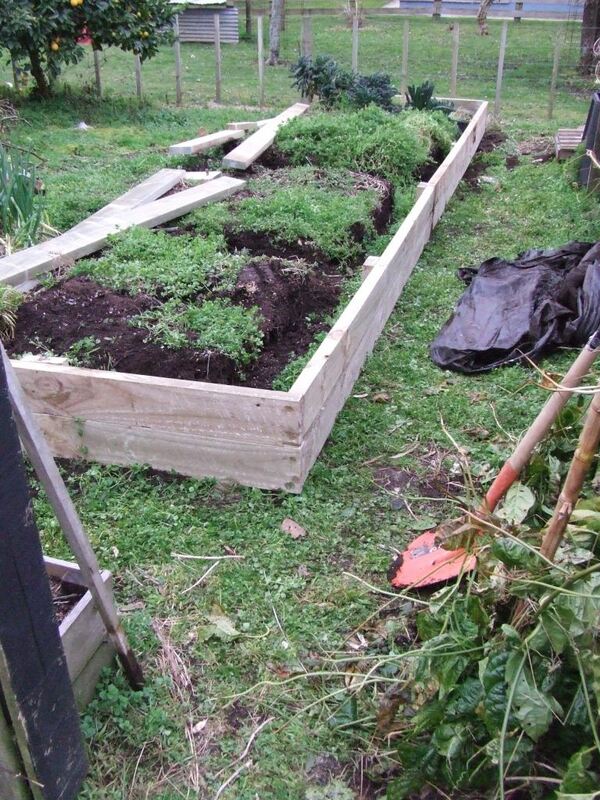 On planning the raised vege beds I decided that a) we needed more timber than what the old beds were made of to make the two new beds and b) it would be easier for The Husband to construct at least one of them with some better-sized timber. So, I sucked it up and bought some timber. 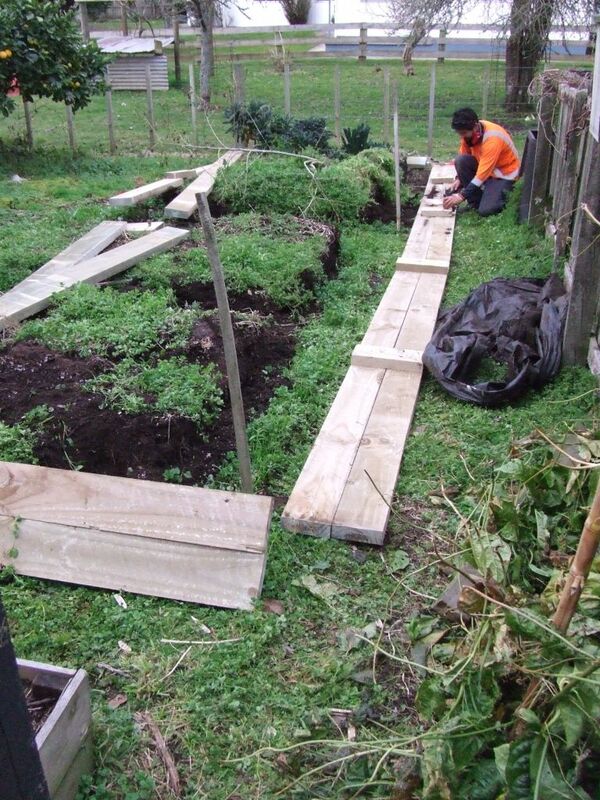 The arrival of the timber spurred The Husband into action and he has built three sides of the first vege bed so far. It is no mean feat. Each piece of timber was 150 x 50mm and 4.8m long and he has cut some of the pieces to form a bed approximately 1.6m wide by 8m long. Yup, that’s a whopping long vege bed! And the sides are two timber widths high too, giving a nice workable height of 30cm. This bed sure won’t be going anywhere in a hurry. 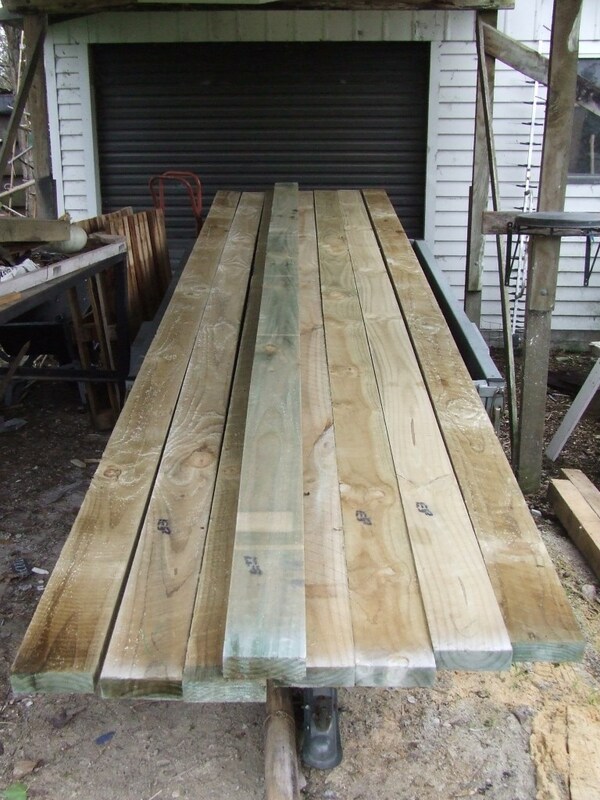 It is H4 treated pine so it should last for a long time in contact with the soil.